My youngest son just turned 9 years old. Tragically, on the day of his birthday, my wife who was cradling him, noticed that his stomach was way too big and taut. After tests were conducted on him the next day, it was found out that his spleen was 18 times the normal size. His doctor says that if by accident his spleen gets punctured, he wouldn’t lasts 3 minutes. It’s a rare type of leukemia that is usually not applicable to children. There is no known miracle drug yet but there have been some promising cures. We are in the hospital right now, he is to undergo bone marrow tests. The bottom line is he could die anytime in the future, notwithstanding. The amounts involve in the treatment are staggering. There is a foundation that gives aid for this, but our doctor says they have closed the window for additional applicants. Eventually, this e-mail circled the world of the internet in 2006. Soon, assistances of blood certificates from persons I don’t even know, prayers from congregations I never even heard of and messages that inspired me to have hope & faith flooded my inbox. But there was one e-mail that was perhaps the most priceless: An e-mail containing information about NOVARTIS, GIPAP, The Max Foundation, and Glivec. And the rest is history… From a WBC count of 296,000 (healthy is 5,000-10,000) and FISH levels of 59% (healthy is 0%), my son, Maverick is on his way to complete remission after 5 years of Glivec. Instead of being frail, he is so energetic, instead of burnt skin (from chemo), he looks like he is taking those vanity pills which make you white and instead of losing hair, he can grease it anyway he wants. Having skipped a year of elementary schooling, he is back with much enthusiasm, even gaining school honors along the way. And in those sleepless nights wherein we were in the hospital a number of times, for chickenpox and other life-threatening ailments alike, my family has never ceased to “talk” to the Almighty, to seek His loving, healing hand. I don’t ever think I could thank God well enough for making Maverick lead a normal life but I sure could help devote my time in every which way I can to help others. 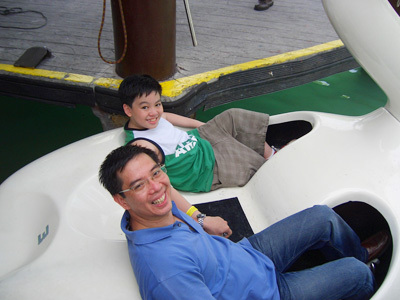 Max was 14 when he was diagnosed with chronic myeloid leukemia (CML). A lingering cough and a doctor's check up revealed an enlarged spleen; from there, blood tests, more tests, shock. It was August of 1989. Max went on to take hydrea and then a very promising drug at the time, Interferon, all the while we searched for a matching bone marrow donor. He did well on interferon and had little side effects. 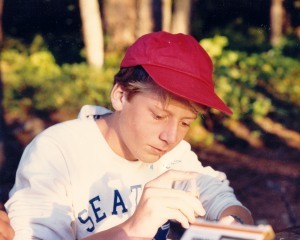 He was 15 by then and he would prepare his own interferon shots. Shots and blood draws soon became part of his routine. Max lived with CML for almost 3 years, from 14 to 17. There were no patient support groups back then. In fact, there was no internet; no contact with other people with CML, no disease information other than the one provided by Dr Talpaz, his doctor. Max did not want to think about his disease if he didn't need to. He didn't hide it, but for the most part, while he was with his friends or in school, he enjoyed not thinking about it. Many teenagers just want to live their lives, and not really dwell on the reality of the disease. Nowadays they seek information online when they want it, on their own terms, and they come to us when they need us. As adults, our job is to be there and alert to catch those moments in which a little window opens, and we must be prepared with our answers. Today in my position as Executive Director of The Max Foundation, I am aware of more than 40,000 people diagnosed with CML in the past 10 years from 80 countries, a database where the average age at diagnosis is 38 years old including more than 2,000 children and at least 150 of them ages five or younger. When thinking about a Junior CML site, I hope it will accomplish three goals: 1, bring awareness about the high number of cases of children with CML worldwide and spearhead research about the consequences of long term treatment; 2, provide resources and information to junior CMLers themselves, as well as to their parents; 3, provide a safe site where junior CMLers can ask questions, share experiences, be themselves. As often is the case with children who face a difficult diagnosis at an early age, children with CML are wise beyond their years. It is my hope this Junior CML site will honor their courage and help us learn from them. 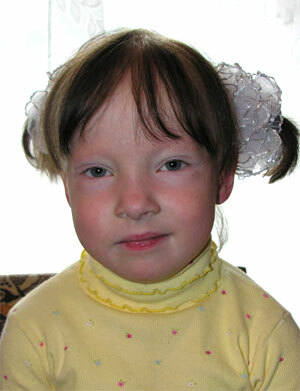 Little Marina’s family got the shocking CML diagnosis of their daughter when she was only 2 years old, in the year 2003. It all came out so unexpectedly, when her parents took the little girl to the doctor for the regular check-up. The WBS Count showed a threatening figure of 110,000. The only treatment that existed at that time was hydrea. We heard about the existence if Imatinib though, however unfortunately it was not available in the country. The drug was too expensive for us to buy from abroad. Luckily we could get Imatinib later when it was approved by the government in the list of the drugs that oncology patients could get for free. Marina started to take 400 mg Glivec daily and her blood results started to improve. The family started to hope for the best. Every 6 month we were taking all the necessary test and then here it is. A little more than a year passed the bone marrow biopsy showed the Philadelphia Chromosome was back in the bone marrow again. The doctors increased the dose of Imatinib to 600 mg a day. However, unfortunately the things were only worsening and the doctors could see little Marina’s survival chances in Bone Marrow Transplant. Unfortunately, this was another shock that we got. Marina didn’t have a related donor and a huge amount of money was needed for the donor search abroad, as the Bone Marrow registry doesn’t exist in Russia. We went on searching the internet and became a new member of Advita Family. Advita is a charity organisation in St. Petersburg that helps people with onco-hematological diseases since the year 2002.. Advita put our story on its website and we were lucky enough to have lots of people and organisations’ support. The money for Marina’s BMT and our stay in St Petersburg was collected. Marina had her Bone Marrow Transplant in February 2009, from an unrelated donor. Since then she has passed though quite difficult stages in her life very bravely.She was on Imatinib for some time after she was transplanted, but then it was stopped because of the severe side effects. Life for me is a battle. A 7-year old girl who is supposed to enjoy the gift of life, youth and innocence, procured a sickness nobody would ever dreamed of. My illness was discovered during my elementary school years. At first, my health “seems” fine. But when I reached Grade 4, I was in trouble. It was just a sudden change in my health, loss of appetite, I easily got tired, I got pale and physically weak. Since then, I started taking 8 different oral medications and it’s like I’ve been taking different colored candies all my life with awful tastes! Then I stopped schooling, avoided tiring activities and worse, I lost my hair. After endless sessions of chemotheraphy, from chronic to acute stage, it was a miracle to get back to chronic stage. I was given another chance. Unfortunately, due to the extremely high price of medicines, not to mention the lab tests, my parents can no longer afford to give me “one last chance”… Then, we were informed about Novartis, The Max Foundation and GIPAP. These are God-sent entities which help persons like me be like other normal human beings. God is so good that I qualified as a recipient of the miracle drug, “Glivec”. Now, I’m already 21 years old, a 4rd-year college major in management. And if people would see me now, nobody would say that I’m a CML survivor. 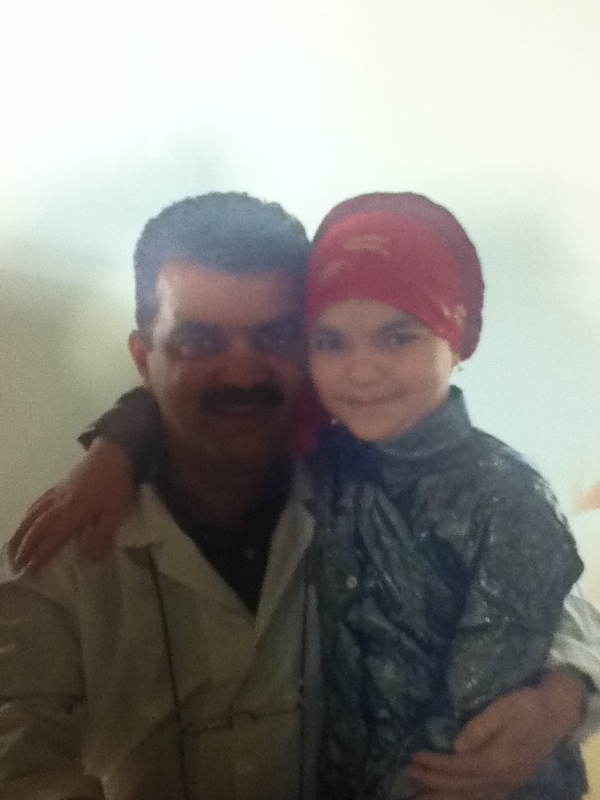 12 year old Fidan is suffering from Chronic Myeloid Leukemia since she is 5. As she never had access to any TKIs she started to get chemotherapy since she was diagnosed. As if this was not enough, 2 years later her mother got another shocking news when she started feeling strange. This was a breast cancer. Instead of spending more time with her only child and worrying about her, she had to start caring about herself too, for both of them. There were two of them now against two cancers. Mother and daughter are travelling to Iran very often for the chemotherapy procedures. Mother had her breast been amputated recently, and continues chemotherapy courses. However, very unfortunately Fidan’s CML has recently progressed too far – to a Lymphoid Blast Crisis stage, and as the family doesn’t have any opportunity and access to the Bone Marrow Transplant, she continues chemotherapy. An interesting and a dreadful fact is - a mother and a daughter are both in remission almost at the same time, and then when the daughter’s health condition deteriorates, it is almost immediately reflected in her mother’s health. The frightening story of Fidan and her mother makes you think how this can happen? Is this a coincidence? A stress? Or can it be inherited? No one has an answer to this today. Looks like it has one big root with many many faces. The doctors and scientists keep referring to the genetic disorders, however, one of the recent researches on genetic codes revealed that there aren’t any codes recorded on physical level – the DNA material itself. Leukemia Patients Support Group in Azerbaijan is in regular contact with Fidan’s family, and regularly organising fundraising campaigns for them, to cover the basic expenses. Wishing both Fidan and her mother lots of strength and patience to overcome the severe battle in their life. God bless them. This is a worldwide map of patient groups supporting those patients and families affected with Chronic Myeloid Leukemia (CML). The groups listed are members of the CML Advocates Network. If you know a group which is not listed here, or if details have changed, please get in touch with us using Contact Us or the registration form. Or click to take an alphabetical CML Patient Organisations.